Celebrating 25 years in 2019 ! New and Upgraded Anchorages and Marine Parks in 2019. See Our Books. Watch for it at local book and marine stores. Or purchase on line. The new book, OOPS! Boating's Close Encounters and Awkward Moments, is the latest work by Peter Vassilopoulos. It is not a cruising guide but rather a collection of boating experiences and learning curves. 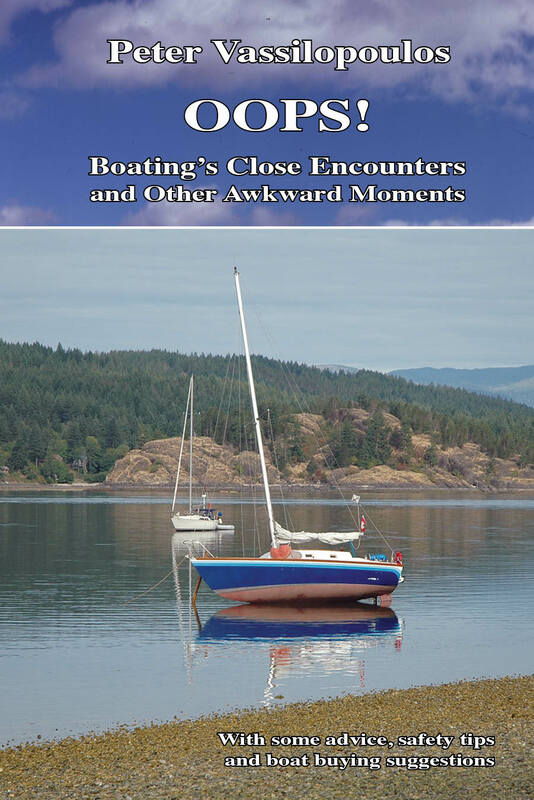 It has a touch of humour and a number of serious boating situations to be avoided. The book concludes with advice on buying a boat and some input on safety and regulations by naval architect John Simpson. It is available in time for Christmas and the 2018 boat shows. Peter Vassilopoulos is a long-time West Coast boater who has travelled the Pacific Northwest coast extensively and contributed to numerous boating publications—Pacific Yachting Magazine in particular. ​Since 1994 he has produced a series of best-selling marine guides: Docks & Destinations; Anchorages and Marine Parks; North of Desolation Sound (The Broughton Islands); Gulf Islands Cruising Guide and Cruising to Desolation Sound, which includes Howe Sound and the Sunshine Coast. His latest works include a coffee-table, hard-covered book about the marine artist John M. Horton (published by Heritage House). His earliest book, Antiques Afloat (1981), on historical local pleasure craft, remains a highly regarded work.